For the last six years I’ve used digital spaces to organize my academic, personal, and professional life. I’m using today’s post, February 6th, to reflect on the multiple uses blogs have had in my classrooms, for a new career in higher education, and with my more creative endeavors. This is how I am celebrating today’s events (at the same time I’m using this post to do a workshop with others for the Center of Academic Excellence at Fairfield University). I became curious of using blogs after I left a high school classroom in 2007 and my last senior class began to share with me their online writing during their first year of college. The students in 2007 were my teachers and I wanted to know more. At the time I took a course in technology at Syracuse University with Dr. Jing Lei and started to challenge myself to write about happiness for a year (365 posts). I also began collecting research on blogs. This followed with six years of keeping additional blogs for myself on themes: quirkiness, karma, cacophony, Connecticut and, this year, community. It is a way I reflect every night before I go to bed. This led to a curiosity of using blogs to also design courses where I was doing adjunct work and where I started to require pre-service teachers to use blogs with their students. Some of them loved this and some of them hated it (it remains that way, today). Now at Fairfield University, I use blogs to manage my courses and to serve as a hub for the semester’s work: EN 11, EN 12, EN 373, En 411, ED 369/459, ED 455, ED 561. 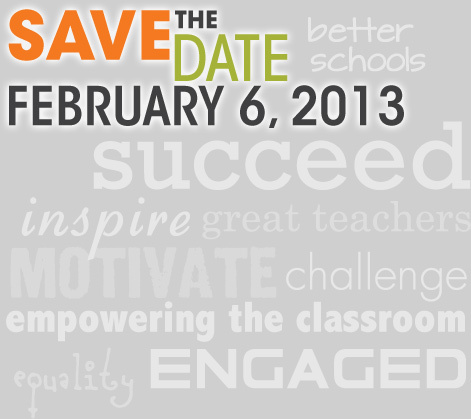 Happy Digital Learning Day, 2013.